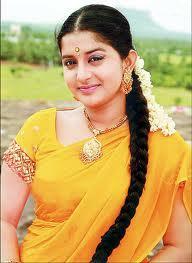 This page has Pictures, Images and Profiles of famous Meera Jasmine. To see more Actresses like Meera Jasmine click here : Aishwarya, suraiya, ranjani, karishma kapoor, ileana, simran, bhavana, kavya madhavan, madhuri, gopika, navya nair, padmapriya, shakeela, nayanthara, karthika. 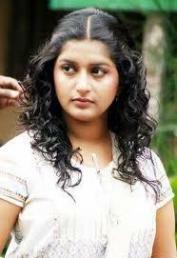 Meera Jasmine was born on February 15th, 1982 to father Joseph Phillip and mother Aleyamma. Meera was born in Thiruvella, Pathanamthitta district, Kerala. She has one brother - George. Meera Jasmine started her life in the small town of Kuttapuzha and completed her schooling in Mar Thoma Residential School in Tiruvalla. It was destiny that brought Jasmine Mary Joseph to the world of cinema. Acting was far from her aspirations, she just wanted to study and become a doctor. She was totally unaware of her beauty and talent. It was purely by chance that Jasmine Mary Joseph went to see the filming of a movie along with her classmates. While she was busy gaping at the actors and the shooting process, the director Lohitadas noticed her and felt that she was rather out of the ordinary. He offered her the role of the heroine in his next venture, and to her credit she was quite stunned at the offer. Her conservative family background forbade her becoming part of the film industry. Nevertheless she agreed Lohitadas, and Jasmine Mary Joseph became Meera Jasmine, the heroine of Soothradharan, opposite Dileep. Meera Jasmine made her debut in the malayalam film Soothradharan which fared well at the box office. It was not long before she got offers for films in other languages. Meera's next film was Tamil film Run and Bala (2002), and won her the Best Debut Female Actress award for Run. Meera Jasmine always stayed close to the Malayalam sphere and her second malayalam film was Kasthooriman, followed by Gramaphone. 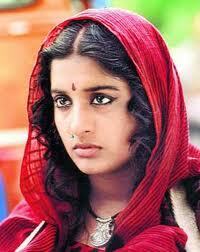 It was Meera Jasmine's fourth malayalam film -Swapnakoodu - that really made a mark at the box office. The songs in the film were also a commercial success, and this film led her onto greater heights in the film Kasthooriman. Kasthooriman was a success at the box office and ran for 100 days. This was also the film that won Meera Jasmine her first film fare award. Meera Jasmine has also acted in Telegu films, her first appearance to Telegu audiences in a dubbed version of the Tamil film Run. Her biggest Telegu hit was Bhadra with Ravi Teja cast as the male lead. Meera Jasmine has had many speculations and rumours flying around about her marriage and with whom she was dating. -And Meera Jasmine has been paired with mandolin player U Rajesh. Meera Jasmine sparked off controversy when she entered and offered prayers at Raja Rajeshwara temple in Taliparamba, Kerala, where the entry of non-hindus is prohibited. This act led to a protest by hindu devotees, and in an aid to pacify matters Meera Jasmine paid 10,000Rupees as a penalty to the temple authorities so that they could conduct the purification rituals.